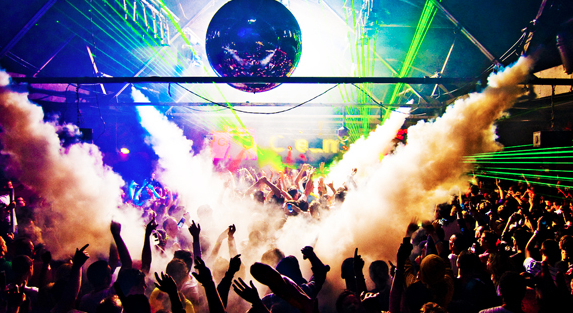 Is your venue staying current when it comes to nightlife? Taking a few minutes out of your day to scan industry headlines, just as you would a local newspaper or your favorite online publication, can only benefit your business and find it new opportunities for both growth and prestige. We've compiled the four best blogs to remain up-to-date on the latest news, trends, and discussions that are taking over, along with links to a few of their top recent posts. Prepare to get inspired! The name itself may ring a bell, as Howl at the Moon is a chain of live music venues. Unbeknownst to some, though, it also stays up-to-date with a blog on its website. We like it because of its range of topics including holidays and drink recipes, in addition to city-specific posts geared towards its many locations across the U.S.
As the name suggests, this is a Buzzfeed-style blog site. We particularly enjoy its balance of playful posts with more informative ones that use proven data and expert opinions to back up its claims. Several new stories are produced weekly, each with a fun twist to keep you coming back for more. Which Iconic Vodka Cocktail Are You? An expert in the industry, this is your one stop shop for all things nightclubs and bars, providing operations management tips and strategies, industry news and research, trend alerts, and so much more. Pro tip: they also have a weekly newsletter called Bar IQ that consolidates it all into email format. Is Crypto the Currency of the Future for Bars? Whether you run a nightlife venue, promote at one, or enjoy going as a guest, our blog offers content aimed at everyone affiliated with the industry. Plus, if you're a NightPro partner, you'll find helpful tips, tutorials, and announcements surrounding our software specifically. Not a NightPro client yet? If you have an interest in our real-time events and venue management app for your nightclub, bar, lounge, or event space, visit nightpro.co or email hello@nightpro.co to learn more and set up a quick, free demo.